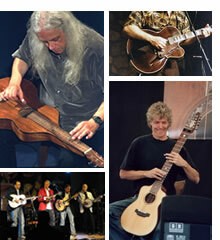 On the occasion of the ACOUSTIC GUITAR 8th INTERNATIONAL MEETING , which will take place at SARZANA (La Spezia), Italy, on 2005 May 19-20-21-22 , and will present the performances of the greatest international acoustic guitarists, the ” 5th Exhibition of Acoustic Guitar Lutherie, Import, Vintage, Accessories ” will be organized like every year. Friday, May 20: Arrival and admission exhibitors. Doors open 11a.m.-7p.m. and 9-11p.m. Saturday, May 21: Doors open 11 a.m.-7p.m. and 9-11p.m. 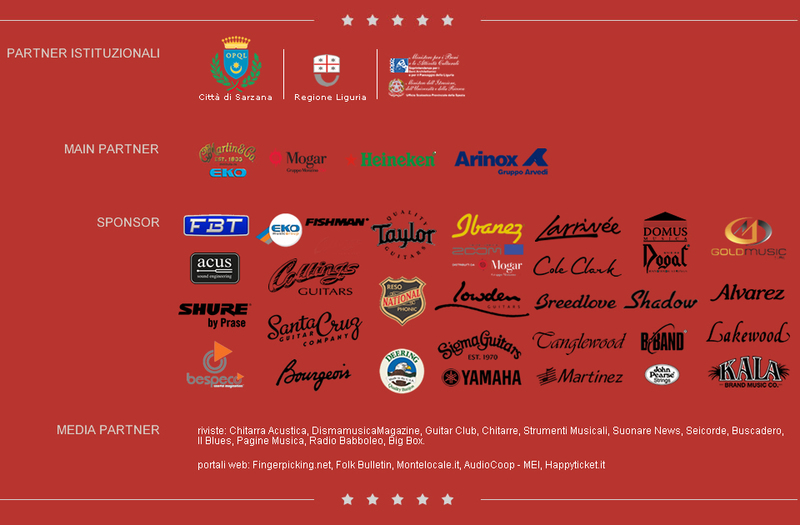 The Show stands will be at disposal of master luthiers, importers of guitars and accessories, lovers of collection guitars, and furthermore will have room devoted to guitar publishing, dedicated magazines and so on. During the days there will be also workshops and didactic seminars concerning lutherie and guitar techniques. 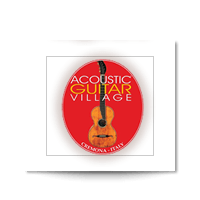 All acoustic guitar exhibitors are therefore invited to participate to this meeting. Every partecipant will have adequate booth supplied with all necessary equipments inside the rooms of the Firmafede Fortress. The 15th-century Fortress, huge in proportions and surface and lying in the heart of the historical centre of Sarzana, has been restored by the Heritage Preservation Board and is therefore perfectly conforming to required standards and supplied with all that is necessary for exhibitions (every year one of the most important national Antiques Show is held inside of it). From this year on, loading and unloading operations will be made even easier. The main evening concerts will take place in the Fortress inner courtyard and the cast will be as usual constituted by the best acoustic guitarists on the international scenes. On every day of the event, starting from 11 a.m.to 7 p.m., the public can freely visit the show and attend the didactic seminars and the afternoon concerts wit no charge. At 9 p.m., with entrance ticket, performances of the great artists will start inside the Fortress courtyard and the public will also be allowed to visit the Show which will be open again from 9 p.m. to 11 p.m. except sunday may 22. The time of the Show has been conceived both to enjoy the most favourable afternoon/evening climatic conditions and to allow also the public of enthusiasts, whose main interest is to see in the evening concerts, to visit the Show and get in touch with the exhibitors. In this way, mornings will be at disposal for land and boat trips to Val di Magra territory/Poets Gulf of Lerici, according to a timetable which will be presented by the organizers to the whole group of exhibitors, artists and staff members. The stay for exhibitors and visitors will be possible at very cheap prices thanks to special rates agreed with hotels, restaurants and other tourist facilities.